You must make reservations at least 5 minutes in advance of the time at Canyon Kitchen. Sometimes the magic of sharing a table with friends over fabulous food and wonderful wine can be elevated by a place. Sitting at the foot of the largest granite face on the East Coast in the Sapphire Valley, Canyon Kitchen has that impact. 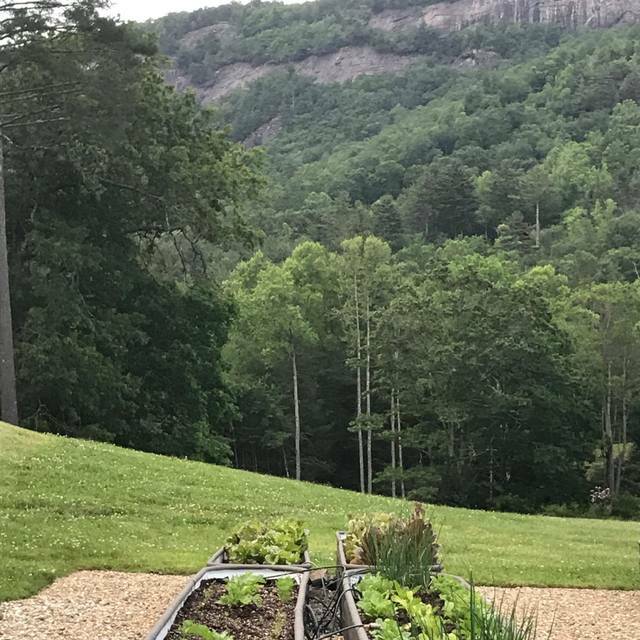 Canyon Kitchen uses local produce and organic selections from our own community gardens and the surrounding area for the foundation of his creative Southern cuisine. The fixed price, multi-course menu changes regularly, sometimes daily, and is enhanced by a list of wines produced using only sustainable, organic, or bio-dynamic practices.. 20% service charge is added automatically. A $30 corkage fee will be charged for bottles up to 750ml. An additional $30 will be charged per additional 750ml. and Master Sommelier Craig Collins, MS.
My family has a home in the area, and every year we look forward to dining at The Canyon Kitchen. It's been a tradition for years. Highly recommend going early, enjoying the view and a cocktail to start off with. You can't go wrong with this jewel ! One of a kind. Incredible experience! We had a beautiful dinner and experience at Canyon Kitchen for a long-awaited weekend in the mountains and our 16th Anniversary. Our server was excellent, attentive, the ambiance was incredible. A gorgeous chilly October day, fires on, doors open and just beautiful. We can’t wait to come back next season! Very highly recommend. Creative and unique food. Wait staff could have done a better job discussing menu. I'm unsure whether one of the dishes I ordered was supposed to be served cold, but it was cold. The soup was indeed supposed to be hot, and it was delicious, but only warm. The French Press coffee was cold. The weather was chilly inside the main dining room and outdoors, so perhaps, that was part of the problem. 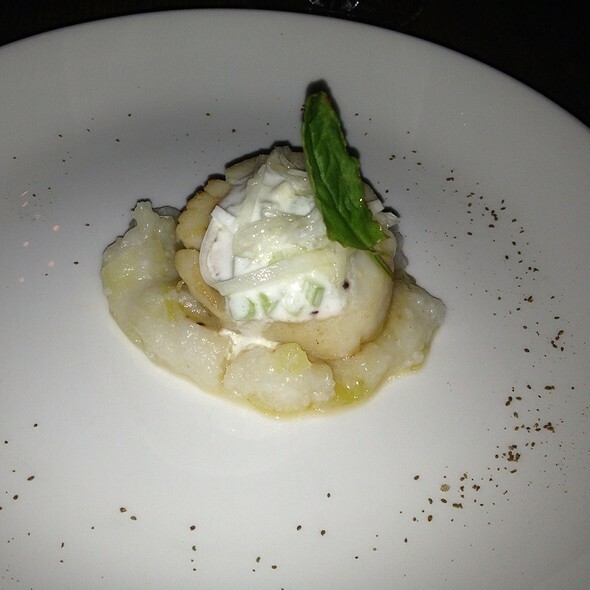 However, all the food was tasty, creatively served and the experience is worthwhile. Great food in small amounts; not a place for large appetites unless you want to fill up on bread, which you might because it is also very good. 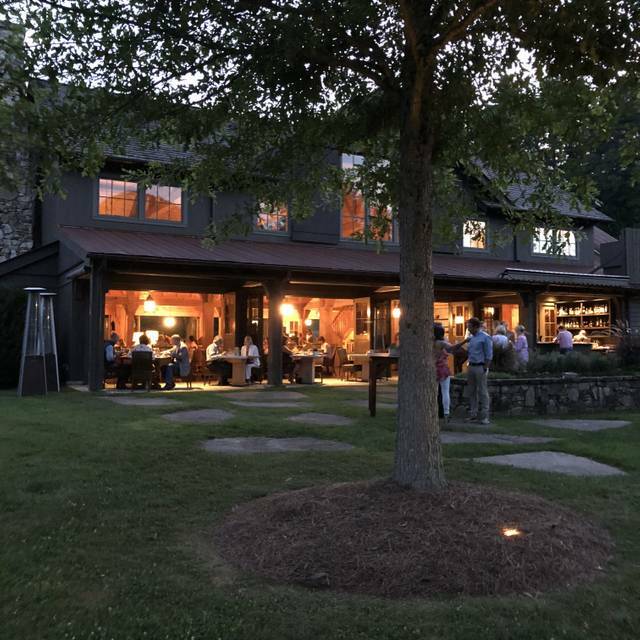 The setting is beautiful, perhaps the best view of any western North Carolina restaurant not located on the Blue Ridge Parkway. The price makes it a special occasion only option for us and we view it as an experience not just a meal. Enjoyed the beautiful ambiance in the facility as well as the outdoor area where there were chairs on the lawn and a bar. We were seated on time which was remarkable considering that it was a full house. The menu was creative and nicely presented. We both had the oso bucco which my wife was very pleased with hers, however mine was fatty and full of gristle. 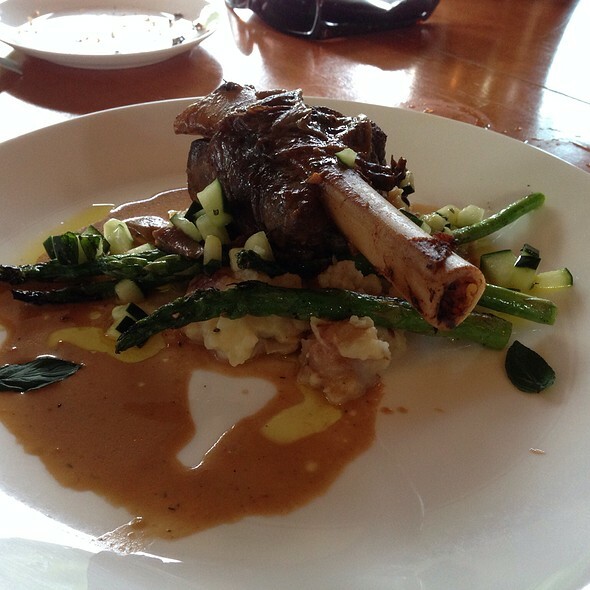 I complained when the maitre de came around and he quickly replaced it with the short ribs, which was very good. The oyster soup with spoonbread croutons was awesome as were the desserts. We hope to return at a later date. This is one of the most spectacular mountain dining experiences we have ever experienced, and we are well traveled. The food is outstanding, paired with an unmatched setting. On this particular night the barn was "closed" so it was noisier that usual. Go when the weather is warm. Made reservations several months in advance as this was an Anniversary dinner. We arrived early to enjoy the sunset. Outside bar is a wonderful setting. Winelist and drinks are a bit pricey, but pours are adequate. We were seated at a table that was out the outskirts of the dining area. We were surprised as there were several open tables inside the main seating area. It was barely 50 degrees outside. Our server stated that there were blankets available and there was a patio heater near our table. The first course; the tuna was overcooked and tasteless. The squash was not properly peeled however, its true representation was a dried doughnut with a filling that had grainy sugar in it. Poor execution. In conjunction with a pathetic display of food, the environment is not conducive to dining pleasure either. The tables are topped with galvanized tin, which only creates a freezing table top in colder weather. How nice to add to an already cold plate of food! When we asked for coffee, our server came back 15 minutes later & said "We don't have any hot water right now for coffee, so do you want your check?" We left. THIS WAS RIDICULOUS! 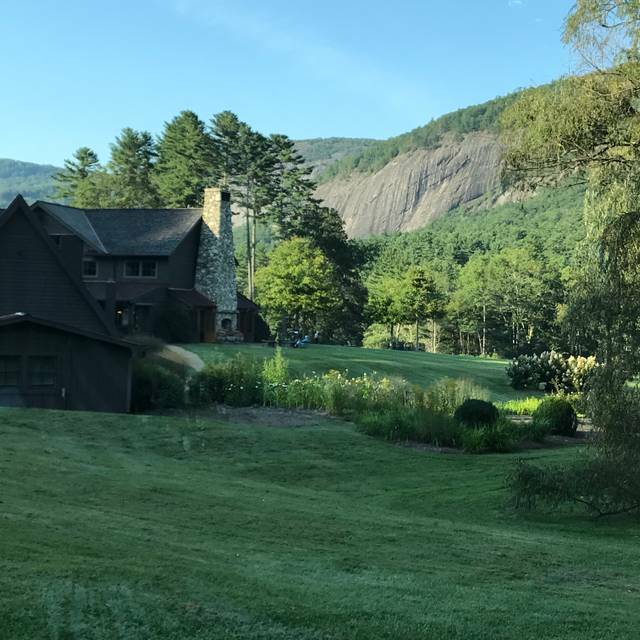 Our favorite dining experience in the Highlands-Cashiers area. The setting of this restaurant is beautiful - in a valley with a gorgeous view of a granite outcropping. The service was top quality, the menu was exciting, and the wine list was well curated. We had some very tasty cocktails by the fire before we were seated and everything pointed to this being a great meal. Unfortunately, the food was disappointing and very very bland. For a prix fixe menu at a price that my family considers a "splurge" (we were there for a special occasion) we expected a much higher quality of food. All of the ingredients were there, the plating was beautiful, the dishes were well-conceived, but not one dish was seasoned appropriately. There were four of us dining, so between us all we tried almost every dish on the menu, and there were two of them that came close to properly seasoned (but still nothing impressive). The ambiance of this restaurant is also strangely sterile. It is housed in a large lodge with exposed beams and warm lighting, but very little by way of decoration or personality. 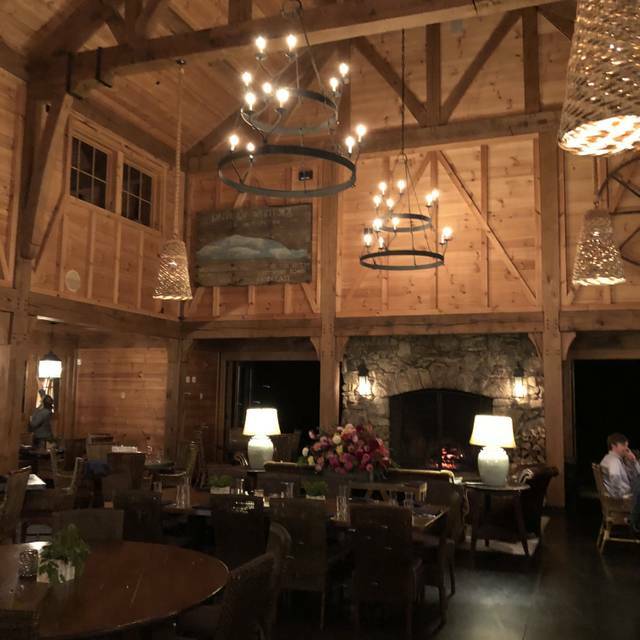 Also, they kept the barn doors open and it was a chilly night, so many of the patrons had blankets - it was too dark to enjoy the view so that was a strange choice. The saving grace of this place is its service. Our server was attentive, enthusiastic, and conscientious. I noticed the manager was engaged with his staff, greeting guests, and participating in the dinner service. The bartender was gregarious and helpful. Overall, kudos to the entire staff, and I hope one day they can serve a restaurant where their skills match the quality of the food. Fabulous as always! Be sure to arrive at least 30 minutes before your reservation so you can enjoy a cocktail in the garden. Such a beautiful place. Enjoyed our time at Canyon Kitchen. The bartender was fantastic and had great recommendations. Service once we sat at the table was spotty with food arriving several times while we still had dirty plates on the table. Food was ok, but we had a much better meal the night before for half the cost. The atmosphere was nice though.. would likely give it another go during daylight hours so we can see more of the surrounding area. We had an absolutely wonderful time at Canyon Kitchen. We visited as our first night out after our wedding. The view was beautiful, the staff was amazingly accommodating and lovely and the food was just perfect! This was a night we will certainly remember and a place we would certainly return to. Thank you for making it such an amazing night! Open air restaurant with a creative menu and wonderful views. This place is one of my favorite restaurants!! I love the food and the atmosphere is unbelievable. This restaurant is perfect for special occasions!! Outstanding food, attentive staff, gorgeous view and setting. Great for a special occasion. Overall the experience was lovely. We had a table on the patio near the entrance and unfortunately, there was a lot of bugs. A few large ones ended on our table during dinner and the gnats/mosquitos were annoying. I would've given it a 5-star rating if was a bug-free evening. We have been going to this restaurant for years, and it still has the same effect on me - bliss. The open air setting is simply beautiful with a view of the granite mountains. The handcrafted cocktails are delicious and the wine selection good. But, the best thing about this restaurant is the creative and talented new chef, Ken Naron. All the chefs at Canyon Kitchen have been talented, but this chef is our hands down favorite of all of them. His menu is creative and delicious- combining interesting ingredients from local sources and their own garden as well. The presentation is beautiful. On our first visit of the season, we were telling our server how great we thought the chef was, and next thing we knew he came out of the kitchen to greet us and tell us about his food! That says a lot about him. You can have a wine pairing with each course and sample (or drink a full glass!) of a recommended wine. I am a vegetarian and they always accommodate me. Although it is a 4 course meal, the courses are on the smaller side, so you leave full, but not in a food coma. If I had any recommendation for improvement, it might be the desserts. The presentation is beautiful, but we have found that some of the desserts don't rise to the level of others. They usually have 3 desserts and a cheese plate to chose from and we always order one of each (when we are 4 or more people) so we can try them all. Don't get me wrong, they are all good, but not always fantastic. Thank you to the Jennings for bringing this gem to the mountains! Now if we could just score a table by the opening facing the mountain every time we come! Outstanding locally sourced food and great ambience. Great service. Unfortunate that the execution was poor for such a great location. The server was very nice but we assume she or the kitchen was rushed although the dining room had empty spaces. The bread came out with the 3rd course instead of before the first. The wait between courses was extensive (20 mins between 1 and 2). They delivered our entree (Poussin) to the wrong table, the table next to us, returned it to kitchen, then brought it back after 5 minutes. As to the food, the appetizers were great. 2 of us had crab ravioli for course 2....center was cooked but the exterior pasta was completely hard. Spectacular views with food to match! Although this is a prix fixe menu, there is something for everyone and the chef's creativity shines. We especially enjoyed having a drink before at the lovely outdoor bar. 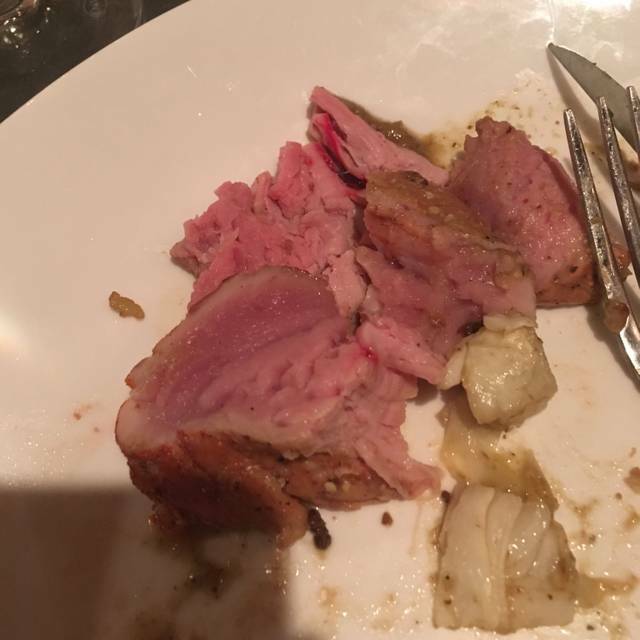 Anyone can have an off night, but this was some really rare pork. When our waitress finally came back to the table, after everyone else finished their meal, there was little that could be done. Combine that with an overdone ravioli and a flavorless pie, the majority of this dinner was a miss. Only highlight was a bear eating apples outside. This is my favorite restaurant in the area so I hope this was just a one time miss. Amazing views and great food. Also loved the bar outside that faces the mountain. You won’t mind waiting for your table here! Food is a tasting menu which somehow I overlooked but very reasonable priced for the delicious food. Special evening with daughter and son in law. Great wine list. Excellent cocktails. Well presented and paced meal. Plan to arrive 45 minutes before Reservations. Yikes! CK was our go-to restaurant for years( particularly when John Fleer was chef). There was a time when we dined regularly at this iconic venue. Went early this spring and were sorely disappointed with our experience! For starters, our server, while opening our$100 bottle of wine, casually mentioned that this was her first try at opening a bottle- unfortunately,she left the metal wrap in jagged pieces and as she attempted her premier”pour”, my wife stopped her before damage could be done to table cloth as well as our attire. The only words I heard from the couple at next table were” yes dear, that is a hush puppy”. The chef’s initial gift that evening was a solitary hush puppy and unfortunately that was the best he had to offer as the food went downhill after that. So you may ask, why did we go back? This venue is so beautiful and our experiences from the past so gastronomically profound, that when our houseguest(who hadn’t dined there in a year) asked to go, we acquiesced! Diners beware! The breads became the highlight of the dinner and those were served cold. We had two” starters”: the tomato pie was quite good, but the ravioli( single ravioli I might add) was partially uncooked and a disappointment as the sauce showed promise! The poussin rouge was tough and covered with a sour pink slaw that was offputting artistically as well as taste- wise. I sent mine back and when our server offered another entree I asked for another tomato pie instead! I had a brown sugar pie for dessert but it tasted like there was cayenne in it- what? My wife and house guest had the Dolce De Leche Cake and both declared it a failure and strangely tasteless . It was surrounded by stale peanuts which were not mentioned on menu or by server- the final insult to an evening where he were slapped upside the head as the old saying goes. Have been to CK many times and it has been uniformly excellent, but last Sunday was a real disappointment. Food was subpar, service ok but not up to past levels, loud music in main dining and generally an unpleasant evening. Everything was wonderful. Food, service and , of course, the view! This magnificent dining venue is not to be equaled. The food was excellent and nice sized portions. The mountain views down the box canyon in full moonlight was breathtaking. The staff makes every effort to be friendly and customer oriented. Our guests were there for the first time and were blown away by the experience. In fact so blown away .....they picked up the check. That really made the night special. This is a gorgeous, must go restaurant! A cocktail in the garden on Adirondack chairs sets the tone for an unforgettable experience. Our server, Cameron, was professional, and helped us navigate the choices offered that evening. Each course was not only delicious but the presentation was beautiful. Keep up the good work! Outstanding views! Wait staff is great. Lily and Cameron were two of our special waiters this week. Creative food is very good. Dining here is a must!! Food was superb. Server Bradley very friendly and great explanations of the food that was being served that evening. Great scenic views of the mountains and the expansive property. Next time in the area will return. This was a perfect spot for our Anniversary dinner. 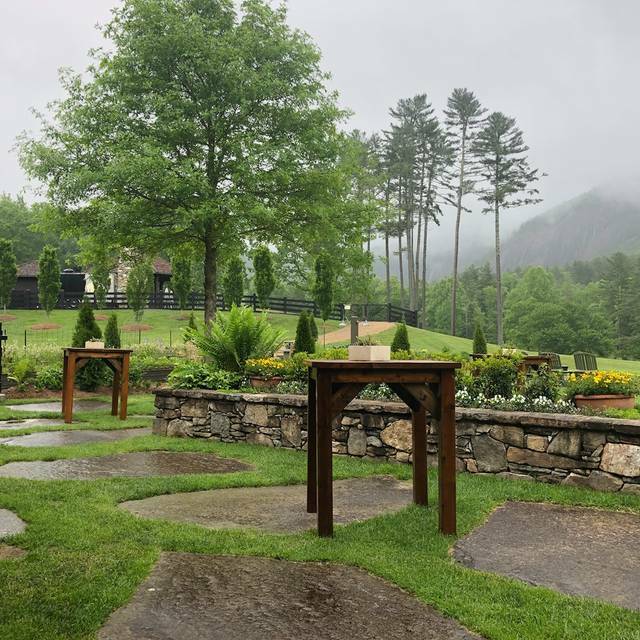 We didn't know what to expect, as we made the reservation on a recommendation, but were blown away by the experience, service, food, and the absolutely stunning view from the back of the restaurant. Will definitely return! Have been to Canyon Kitchen many different seasons. At the beginning of this season, many were complaining about the poor service, poorly trained staff and poor plating. KC listened. People have returned to find that CK high standards have returned. Friendly, knowledgable wait staff - smooth service. The place is already beautiful. Menus are even better and more interesting than before. BRAVO! Absolutely unbelievable. One of the best meals and overall experiences I've ever had at a restaurant. 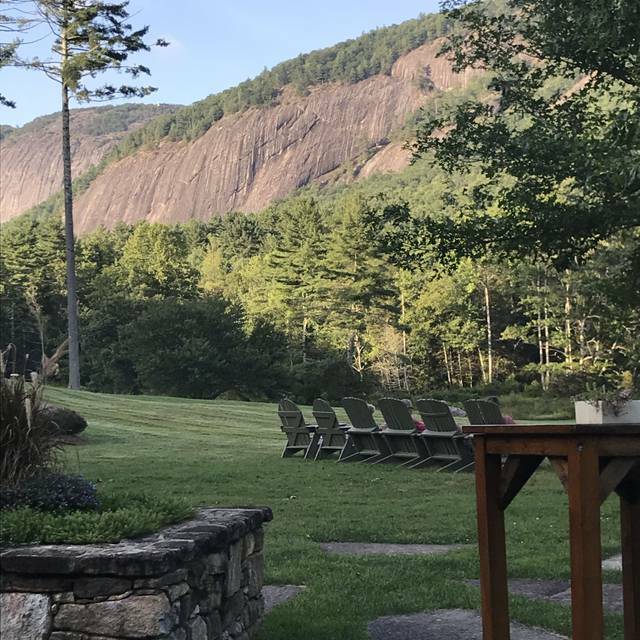 We really enjoyed sitting out back and looking at granite rock faces of the mountains that form the backdrop to the restaurant.